More ‘science’ now, with a report from Michael Tauberg, who studies how words affect society. We assume this doesn’t involve watching Countdown. Anyway, he studied song titles in two periods: 2000 to 2008 and 2009 to 2017, aka before Spotify and with Spotify. Did anything change? The length of song titles altered. Songs tended to get both shorter and longer titles, which might sound silly but basically songs ditched medium length titles to either appeal to short attention span age or just go all out for the blow up. Song titles now most commonly divide into 1 or 2 words and 7 or more words. In addition, word use grew diverse, with more unique words, presumably to help Spotify searches zoom in. 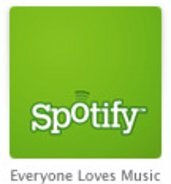 But is this down to Spotify / streaming or other factors? A research grant would presumably help.